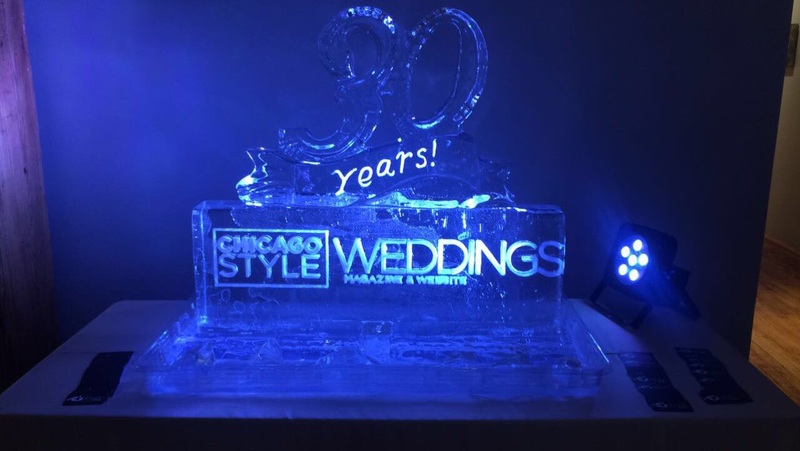 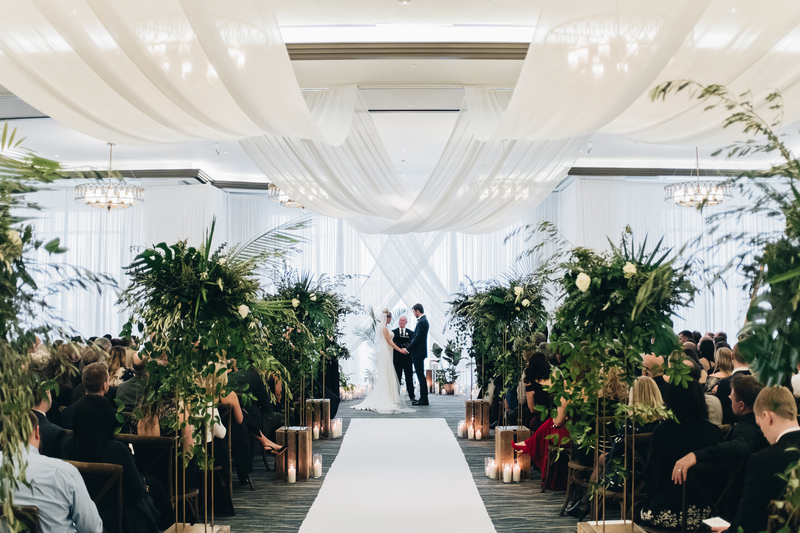 Our sister company has had a busy start to 2018, take a look at some of their gorgeous weddings! 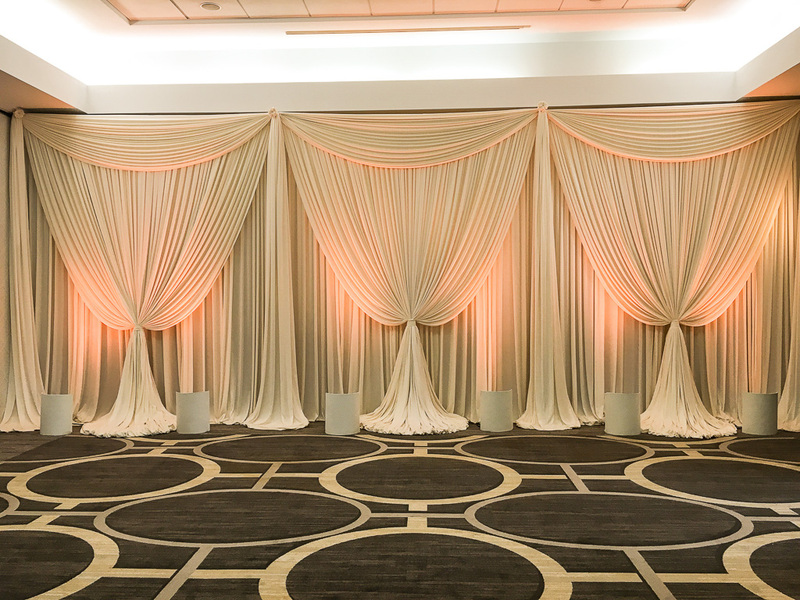 Ivory Entrance Draping with warm Amber Uplighting for bridal party ceremony entrance. 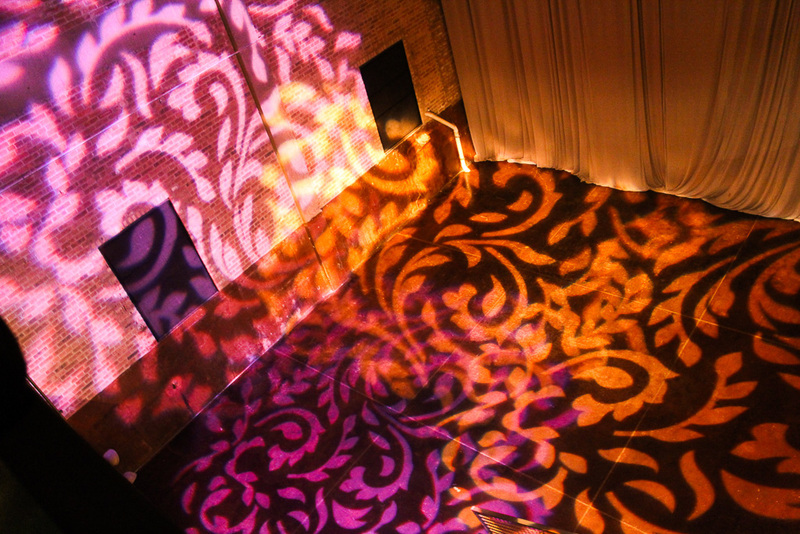 Amber & Purple Pattern Dance Floor Lighting for Allison & John’s after party. 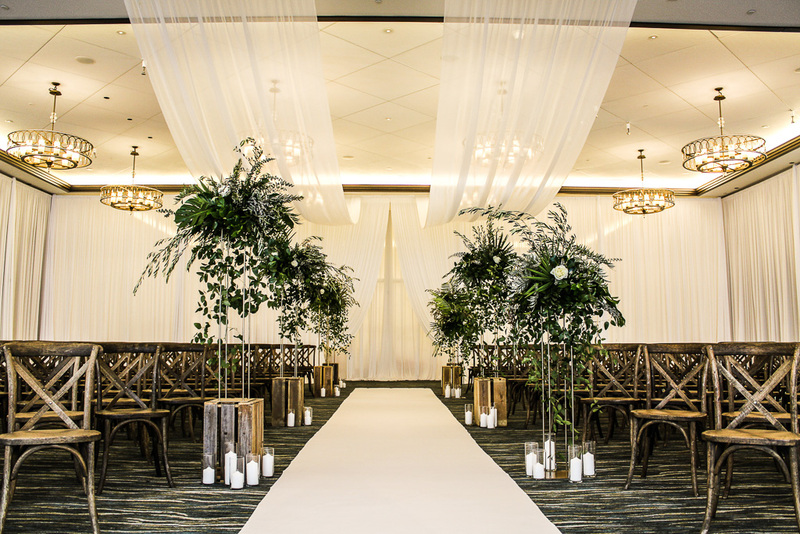 A White Aisle Runner and Ceiling Draping led to the ceremony altar. 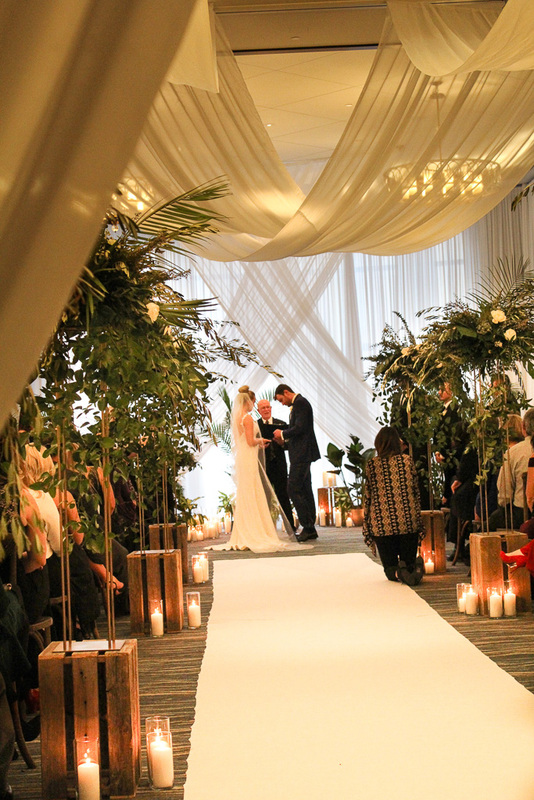 The perfect boho criss-cross Ceremony Backdrop. 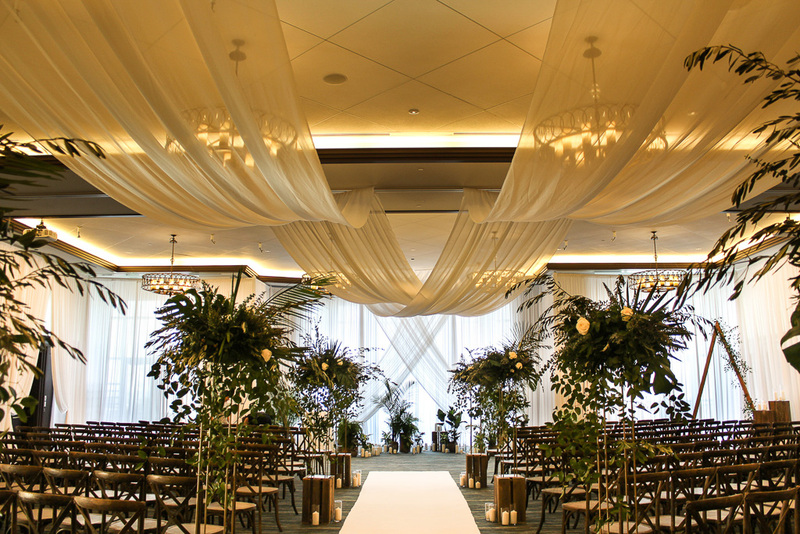 White Room Draping and Entrance Draping for the Bridal Party. 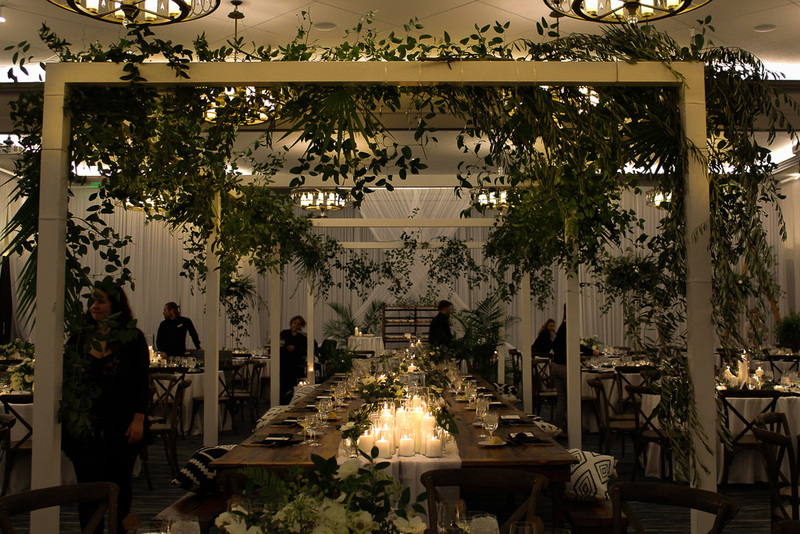 Reception room transformation with Greenery Lighting on Taylor & Josh’s wedding party pergola. 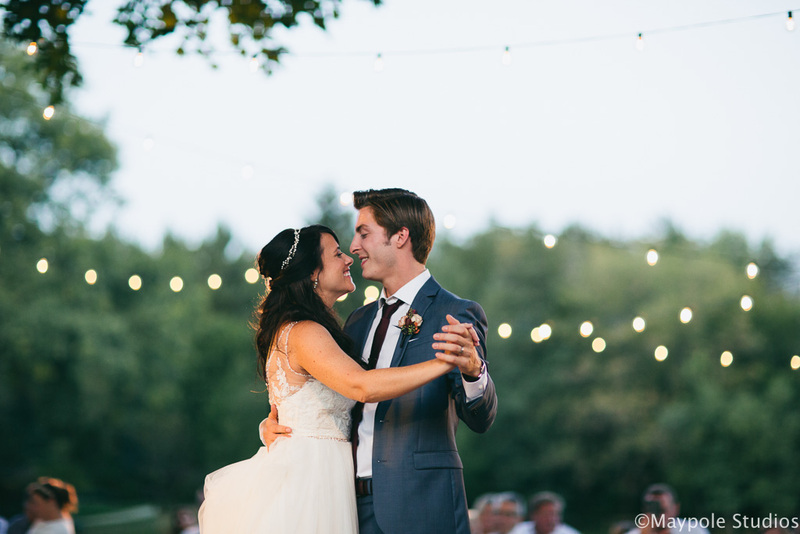 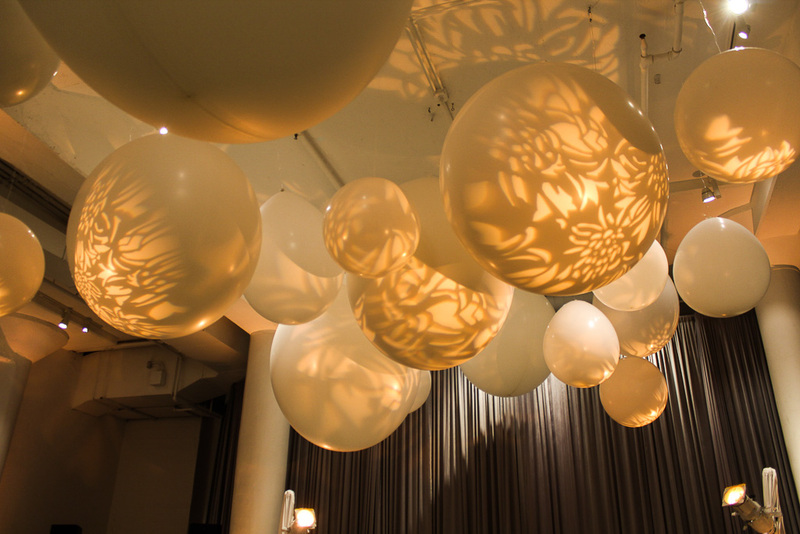 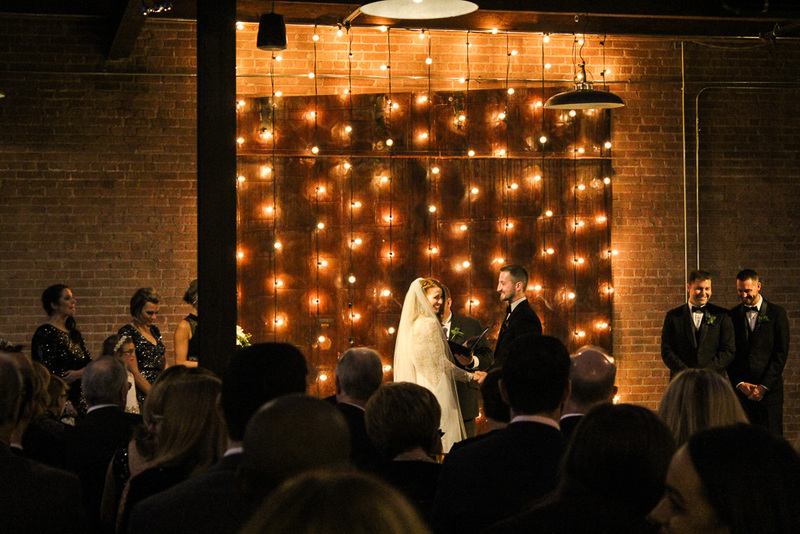 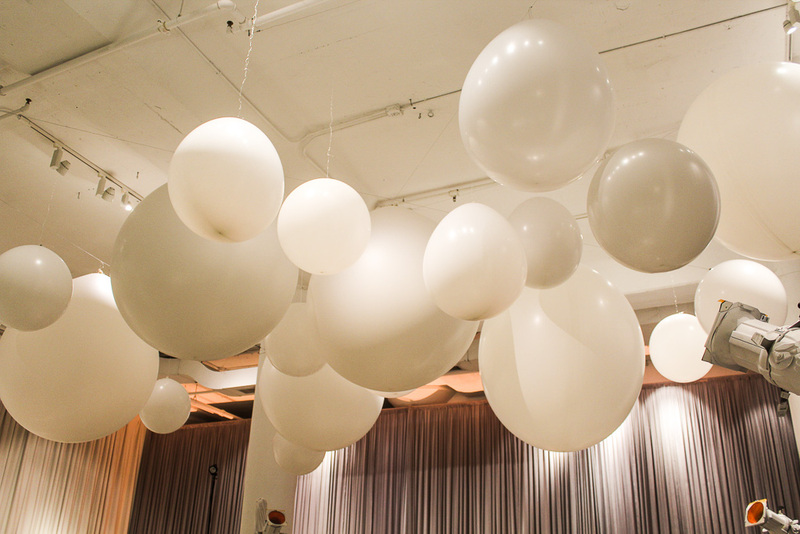 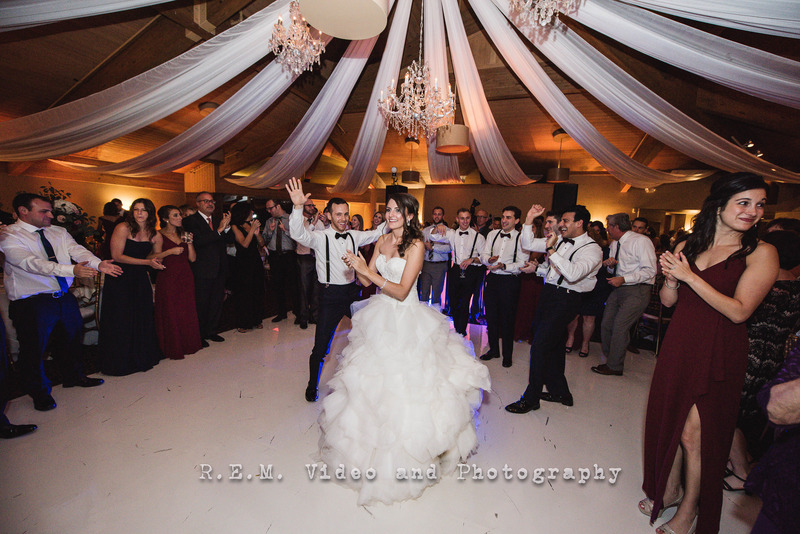 A cluster of White “Balloon Chandeliers”… Were transformed for Amanda & Tyler’s Reception. 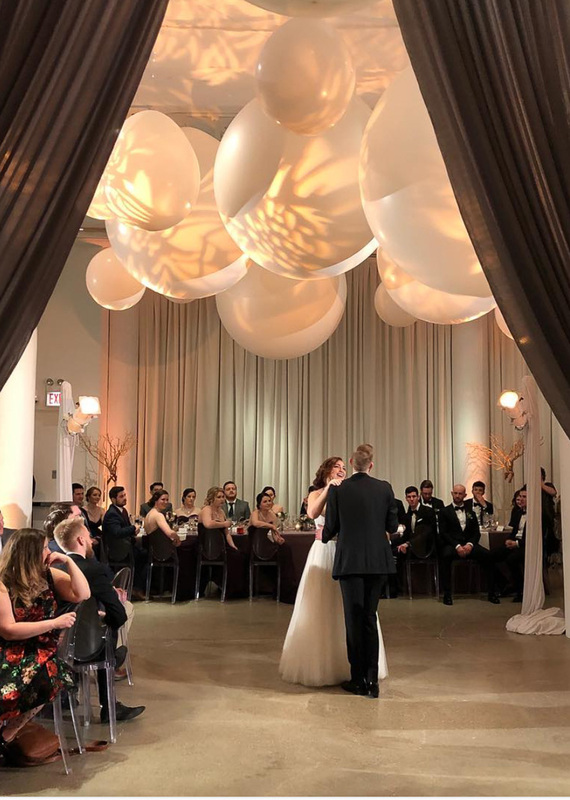 Amber Pattern Lighting illuminated the balloons over the couple’s dance floor. 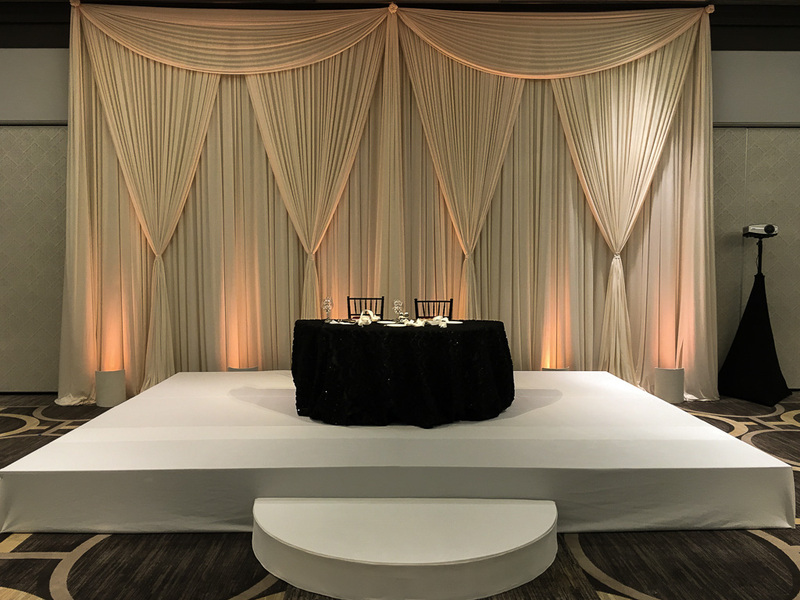 A white Stage Cover with 1/2 moon step for Liz & Albert’s Sweetheart Table. 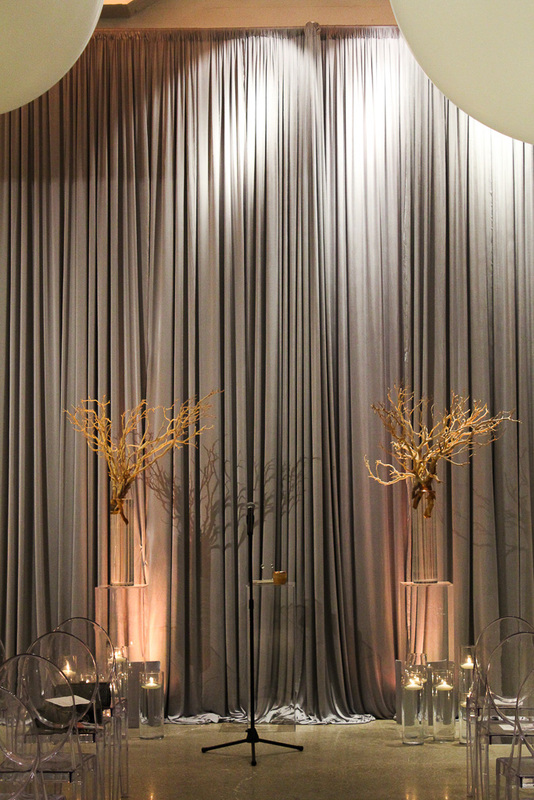 Ivory Backdrop with warm Amber Uplighting. 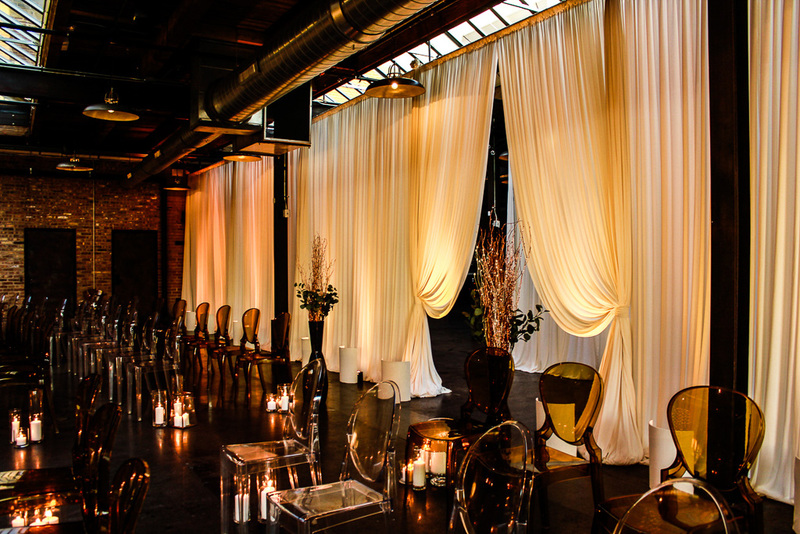 Take a look at more of EEL Chicago’s lighting & draping here.